World Pancreatic Cancer Day is a great opportunity to use social media to help educate your family, friends and colleagues about pancreatic cancer. Use hashtags #WPCD or #worldpancreaticcancerday. Make sure you are following us on Facebook, Twitter and Instagram so you can engage with us and share our WPCD posts. Share our symptoms animation and song on social media. You can share it directly on Facebook or from YouTube. 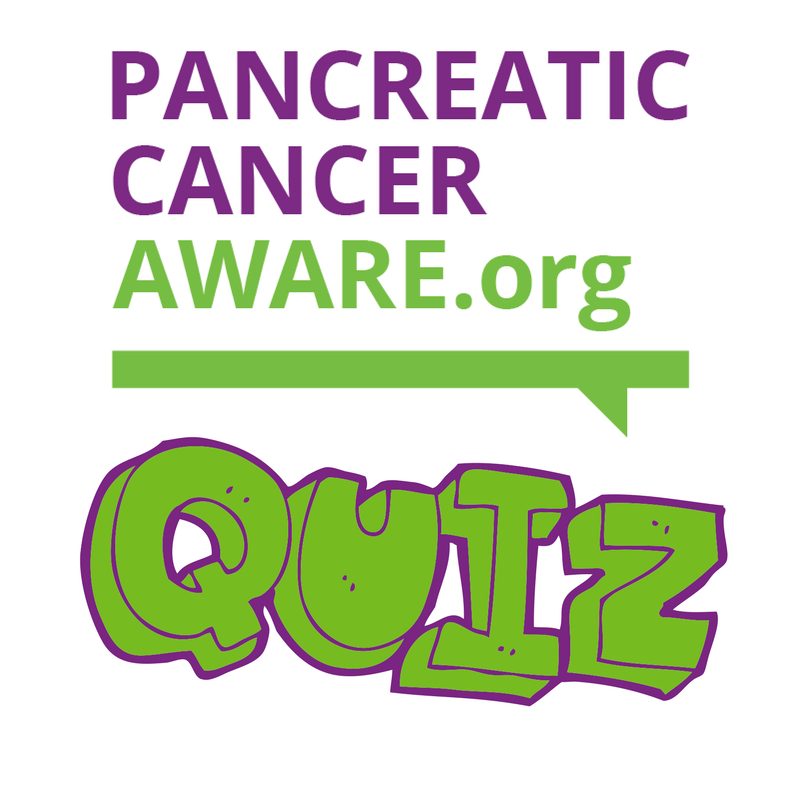 Can you name the symptoms of pancreatic cancer? Most people can’t. If we knew the symptoms, we might have a better chance of survival. Patients diagnosed in time for surgery are more likely to live five years and beyond. The sooner you are diagnosed, the sooner you can receive treatment and have potentially lifesaving surgery. Early diagnosis is vital, so listen to your body and don’t ignore the signs. If you have symptoms, speak to your GP as soon as you can. Our Pancreatic Cancer Aware quiz can help people learning more about the facts, risks and symptoms of pancreatic cancer. Why not take the test yourself and share your results with the quiz, and ask your friends and followers to do the same. The World Pancreatic Cancer Coalition has created a number of posts that you can share directly on to Facebook and Twitter on World Pancreatic Cancer Day.